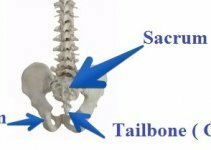 The area between the bottom of our shoulder blades and the lower part of our ribcage is termed as the Middle Back. The area lying between the lower part of our shoulder blades and the neck is called the Upper Back. ♦ Local bruising, swelling or tenderness in the area. ♦ Sudden acute pain in the upper back or the neck. This pain may be persistent while rest and can get increased while twisting your torso, bending your neck or even moving your arms. ♦ Painful neck spasms that can make moving your neck complicated and also leave your head tilted towards one side for ease. ♦ Throbbing pain in your upper back. This pain gets resolved within a couple of days. ♦ Neck and upper back pain that stays for a longer time such as weeks or months. ♦ Heartburn that is triggered due to lying down or eating spicy food. The burning pain occurs in the upper back, throat and behind the breastbone. ♦ Excessive burning pain along with itchy red rashes that travel horizontally around the chest as stripes on one particular side. ♦ Acute terrible pain on the left or the right flank which radiates down towards the groin or the lower abdomen. The pain lasts for several hours. ♦ Severe, sudden pain starting from the right upper abdominal quadrant. 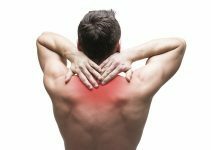 The pain stays constant for minutes or even hours and then radiates to your right shoulder or the upper middle back. Gallbladder dyskinesia, also called as Biliary dyskinesia or the Sphincter of Oddi dysfunction causes back pain in the right middle or Upper right abdominal section without the presence of any gallstones. ♦ A dull or severe pain in the middle upper or left abdomen which slowly radiates towards the back and lasts for several days. ♦ Fracture in Ribs: Sharp and excruciating pain caused due to a fall or an injury in the upper back which is followed by a little local tenderness and bruise. Abdominal conditions sometimes cause irritation in the diaphragm (the muscle tissue that separates the upper thoracic area from the abdominal cavity) and a pain in the right upper back. In people suffering from IBS (Irritable Bowel Syndrome), severe pain is caused in the left upper abdominal quadrant due to the trapped gas in the system. This pain radiates towards the left chest and then the left shoulder where it stays constant for a few hours or even days. ♦ Severe and sudden pain arising in the middle area of the chest which lasts for 15 minutes and above. This pain then radiates to the upper back area in women or even to the left arm, jaw or upper back. This excruciating pain can be instantly relieved using a drug, nitroglycerin. Excessive use of serratus anterior muscle that is located on either side of the torso due to repetitive movements such as running sprinting, lifting objects by extended arms. This pain is caused on both sides of the torso and also in the area below your shoulder blades. Pleurisy is the inflammation experienced in the lung membrane due to health conditions such as pneumonia and flu. This causes a scratching like pain or pain that is equal to the stabbing of a knife in the lower ribcage or the torso. It also causes shortness in breathing. Rib Fracture causes an intense pain due to a fall or a hit which leads to tenderness in the injured rib. Pericarditis is an inflammation experienced in the heart sac which leads to fever and intense pain in the middle chest and a part of the back. Pneumothorax is the spontaneous collapsing of the left or right lung which causes a stabbing and sharp pain in the area around the chest which extends to the back, arms and the torso. ♦ Tingling, shooting or a burning pain along with numbness in the shoulders, neck, arms, fingers, hands or the upper back (mostly on any one side). The pain caused is usually triggered due to activities like the twisting of torso, bending of the neck, lying down, laughing, coughing or sneezing. Upper Thoracic Syndrome or the T4 Syndrome caused due to the irritation of the sympathetic, and spinal nerves present in the thoracic area lead to stiffness and pain in the lower neck, upper central back along with a puffiness and certain other abnormal sensations in the fingers, hand or the lower arm. These sensations occur mostly on only one side, and the back pain does not increase while moving your torso. Transverse Myelitis is the inflammation present in the spinal cord due to diseases or conditions such as multiple sclerosis or Lyme disease which causes a stabbing pain by mere touch in the neck and the upper back. It also causes a weakness in your arms. Repetitive muscle spasms occurring in the upper or the middle back area near the spine are caused due to injury, spinal conditions such as arthritis, herniated or bulging disc, injury, etc. These spasms last for a few minutes but are painful. The below-mentioned kidney diseases lead to a constant but light pain in both or one flanks or a few inches from the spine and the bottom of your rib cage. The pain radiates into the arm, face and also the neck. Pain in the symmetrical points of your lower neck and the areas between your shoulder blades. You may often experience pain in your knees, elbows, and hips. Mood swings, insomnia, and fatigue. A type of arthritis, RA leads to chronic pain neck pain, upper back pain and also swelling in the body joints such as knees, finger knuckles, etc. Pain in the chest caused due to a coronary heart disease is termed as Angina pectoris. Factors that trigger this pain are exercises, heavy meal, cold environment and stress. The pain initiates behind the breastbone and lasts for the time less than 5 minutes, but radiates around to the back left arm and shoulder. The common symptoms of cancer are weight loss, nausea and a sudden loss of appetite. ♦ Esophageal Cancer causes pain in the middle part of the chest along with some pain in the upper central neck which increases while swallowing of food. ♦ Liver cancer causes a constant mild pain in the right upper abdomen along with some pain in the back (right side), jaundice. ♦ Gastric cancer causes pain in the back and in the central upper abdomen which worsens while eating. Some of the other symptoms include black stools and vomiting blood. ♦ Pancreatic cancer causes upper central abdominal pain which radiates to your back. Sometimes causes jaundice and an upper abdomen lump. ♦ Lung Cancer causes back pain in the top, left or right area. However, it first causes basic symptoms such as coughing of blood. ♦ Multiple Myeloma (cancer) occurs in the pelvic bones, vertebra, and the skull. It occurs mostly in the elderly aged people. ♦ Hodgkin Lymphoma occurs in the lymph nodes present in the chest. It causes pain in the back and middle chest. Other symptoms include mild fever, hoarseness, and dry cough. Based on the anecdotal reports, few women experience excruciating pain in the upper back which starts before Labor and lasts for days. A lower back pain is one of the main symptoms of early pregnancy. This is caused due to the hormonal changes which lead to losing ligaments. Dermatomyositis/ polymyositis – This is an autoimmune condition which affects the skin and muscles. It is associated with weakness, rashes, and a low-grade upper back pain. Scoliosis – A condition where the spine curves at the sides, scoliosis very rarely leads to upper back pain. Lung Tuberculosis – The primary symptoms include pain in the sides of your chest, upper back or the middle back. It also causes coughing of blood and a mild fever. The treatment of back pain mainly depends on its cause. Painkillers that are available over-the-counter from medical stores, such as ibuprofen or aspirin help relieve mild or moderate back pain. For instance, pain caused due to a strained muscle. Massage, steroid injections, special physiotherapy exercises and dry needling are a part of physical therapy. They help in treating arthritis, myofascial pain, and bulging disc. It is one of the most widely followed methods for relieving back pain. Certain medical conditions that cause back pain require surgical treatments. These conditions include coronary heart diseases, gallbladder inflammation, cancer, whiplash, pinched nerve and a broken vertebra. Back pain caused due to myofascial pain syndrome can be treated with the aid of certain stretching exercises. Ice packs or a cold compress is an excellent way to reduce pain or even prevent a bruise that may be caused due to a muscle strain. If you are suffering from middle or upper back pain, it is best suggested that you sleep on a hard or a semi-hard mattress. A hard or a very soft mattress when used for sleeping causes severe back pain. However, choosing a mattress is every person’s personal choice. Thus, there is bit particular type or style of mattress that is right for you. Choose an office chair that gives your proper back support and allows you to sit straight but doesn’t enable you to lean back. Such a chair is best for your back pain.